Hosts Caity Moseman Wadler and Hannah Fordin talk all things Charlotte and all things cocktail with guests Bob Peters and Colleen Hughes. Bob Peters is a Charlotte native which makes him as rare and as special as the libations you will find behind his bar. With strong southern roots, Bob has always enjoyed the art of dining and taking care of friends. He is well known for his creative palate as well as for his ability to entertain. Peters has won numerous awards including the 2015 Global Bartender of the Year for The Ritz-Carlton Corporation. He has been featured in an international culinary magazine as well as countless local and regional publications. In the spring of 2016, he accompanied some of the most elite chefs from Charlotte, NC to the coveted James Beard House in New York City to present a “Taste of Charlotte” dinner to the Big Apple’s food fanatics. 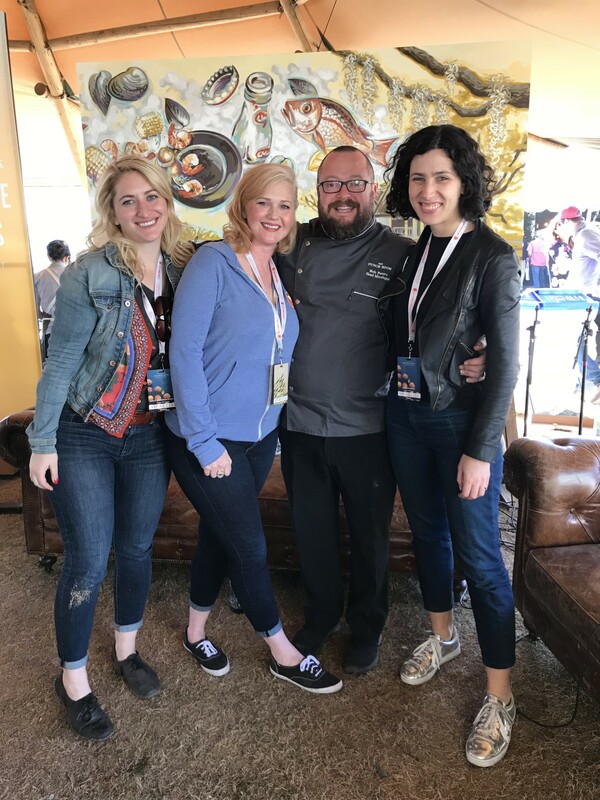 In January 2017 and most recently in January 2018, Bob was a featured mixologist at the highly acclaimed Cayman Cookout food festival hosted by Eric Ripert, Jose Andres, and Anthony Bourdain, as well as being featured talent at the Charleston Wine & Food, and the Atlanta Food & Wine Festivals. When you join Bob for a cocktail, be prepared to linger and let go of the reins. In no time, you will be carried away on a journey sure to delight the senses. Check him out at The Punch Room in The Ritz-Carlton, Charlotte (NC). You will be captivated by what you find, and heʼll have the hootch ready. Colleen Hughes wears many hats. She’s Head Mixologist at Haberdish as well as cocktail creator for Crepe Cellar, Sea Level and Growlers Pourhouse, all in Charlotte. She also serves as Vice President of the Charlotte USBG Chapter. Named 2016’s Mixologist of the Year in Charlotte by Creative Loafing and 2016 Bartender of the Year by Thrillist, Colleen is one of the most innovative mixologists in the region. She runs balanced and accessible bar programs with a nod to the historical aspects of the spirits themselves without being too stuffy about it. And her drinks look as good as they taste! Colleen utilizes lots of unique edible flowers from local vendors in the Charlotte area.